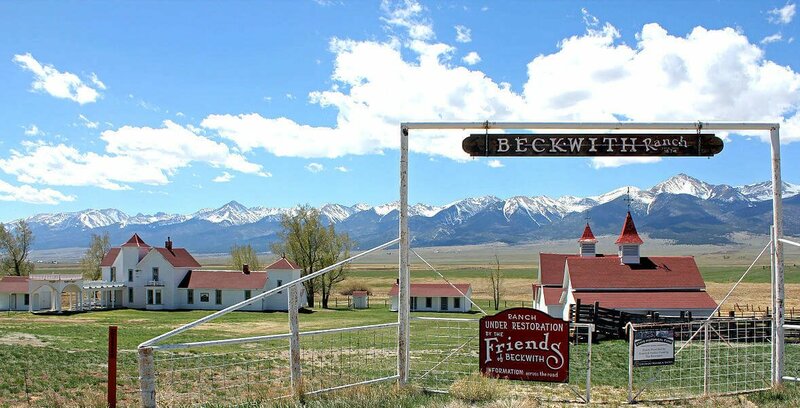 The Friends of Beckwith Ranch (FBR) is an organization focused on the restoration of The Historic Beckwith Ranch with a goal to recapture the romance of the Old West’s ranching heritage. Visitors to the Wet Mountain Valley will experience what the Beckwith family, guests and employees experienced over a century ago. Worldwide, the most recognizable piece of Americana is the Wild West. Beckwith Ranch is the most photographed historic site in Colorado. The Beckwith Ranch, established in 1874 by brothers Elton and Edwin Beckwith, was at its peak one of the largest cattle operations in Colorado. Sons of a wealthy shipbuilder from Mount Desert Island, Maine, Elton and Edwin brought cattle from Texas in 1869 for the miners in Colorado with Charles Goodnight, one of the legendary founders of the western cattle industry. The Beckwith Ranch is a unique experience for tourists, scouts, educators, history buffs and folks who long for a life that disappeared over a century ago. It’s a legacy for the descendants of the brave families who settled the Wet Mountain Valley. All donations will go towards further restoration of Beckwith Ranch and educational programs.